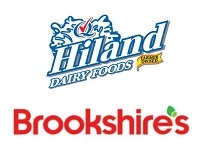 Texas-based Hiland Dairy plans on acquiring plants belonging to Brookshire Grocery, a Texas-based grocery chain, for an undisclosed amount. The acquisition is set to expand Hiland Dairy’s footprint and is due to close next month. Hiland Dairy produces dairy and milk products as well as distributing dairy foods and other beverages across the United States. The deal will see it acquire dairy and water-based ice cream manufacturing plants belonging to Brookshire Grocery. Brookshire Grocery is a Texas-based pharmacy and food chain retailer which offers a wide range of products across its store netowrk. Brad Brookshire, Brookshire Grocery chairman and CEO, said: “Our main business focus has always been on our retail stores, which our manufacturing plants supported. But with an abundant offering of quality products now available through the supplier community, we were certainly interested when Hiland approached us about buying these plants”.